Old map by GERARD DE LAIRESEE -Agamemnon offering his daughter Iphegenia, in honur of the godess Diana. 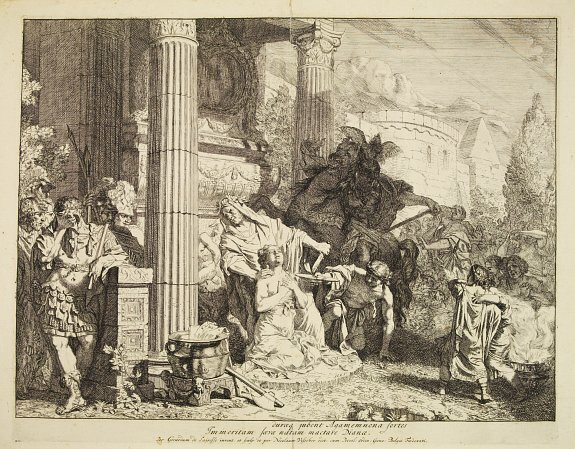 Title: Agamemnon offering his daughter Iphegenia, in honur of the godess Diana. Size: 11.1 x 14.8 inches.